Blessed beings, as always, it is a precious moment when we meet in your awareness; for it is your awareness that aligns Life. It is your awareness that brings experience into focus and creates the future. Your awareness and perception of Life is what shapes it. Your awareness is the catalyst that Life responds to. You are both physical and subtle energy. 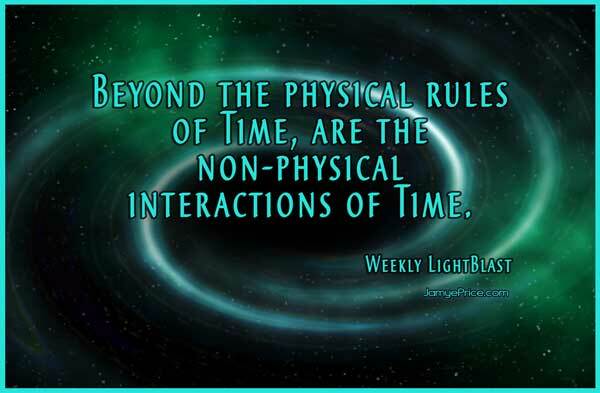 Physical reality has rules that you must follow in order to interact with it. We call this the conditional realm. When you honor the conditional realm, you merge more easily with the rules of the subtle realm. Time is a fact of this physical reality. In the physical realm, Time has conditions. It has what you term linearity. It has steadfast rules, and yet it has a subtle aspect that you are beginning to interact with more. As you interact with the physical aspects of Time—the past, the present, the future; you begin to understand that Time is a relationship. That understanding helps you to interact more with the subtle aspect of Time. How do you relate to the past or the future? This relationship is creating your experience. Time itself is not physical. Time is a condition in this physical reality. We are not proponents of saying that Time does not exist because you do experience it in the physical realm. To say, “time does not exist” inhibits a clear relationship with Time. It inhibits your understanding, application and transformation of your relationship with Time. Your physical expression interacts with some conditions of Time. However, it is not the whole truth of Time. Time has a subtle aspect as well. All of Life is a relationship from your perspective. Time is a relationship. The rules of your physical interaction with Time and life are movement, action and participation. As you begin to shift your relationship with Time, you begin to interact with the subtle realm in a different way. You align your creative mastery and your conscious connection with the subtle aspect of Life. 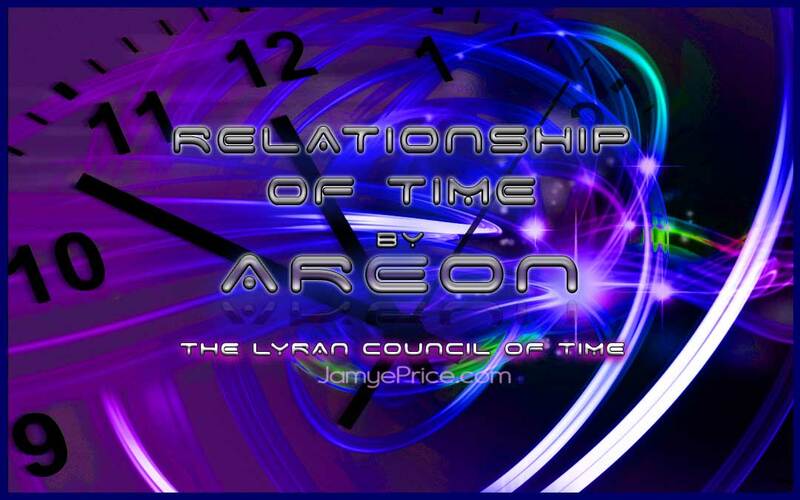 You are then relating to Time just as you relate to people, thoughts and emotions. Your relationship with the subtle aspect of Time is your subtle bridge. Your thoughts and emotions are your connection to and how you relate to the subtle aspect of Time. Your inner peace and your inner clarity shifts your subtle relationship with Time. We want to give you a visual to help you understand your interaction with Time. Visualize a spiral. It starts wide at the top and gets tighter in the middle until it gets to the central point where the tightness implodes and then it will begin to spin outward again in the opposite direction. You live within a spiral galaxy. All that interacts within this realm has the spiral energy of movement. Time also follows this flow. You can imagine the spiral as an hourglass shape. At the top it is dispersed, it gets thinner in the middle and then it starts to disperse out again. There is a central core column to it. That central core column is the stillness, the connection. This is how to imagine your relationship with Time. The central core column of the spiral is how you relate to Life as it moves around and through you. All that interacts through the spiral energy of movement creates a torus. A torus is created as the movement of the spiral creates its own electromagnetic force. This creates a boundary—of form, energy or interaction. As you begin to understand the power of your perception and perspective, you begin to strengthen the core of flow that is within you, transforming your flow with Time. You create a clarity and an alignment that allows you to communicate more consciously with Life. There is a greater truth that you are bringing into your consciousness. Movement doesn’t just happen separate from you. Movement happens with you, because of you, and is a catalyst for you. This central column upon which the spiral aligns and creates its clarity of flow is a metaphor for your own clarity. The strength of your alignment increases your clarity so that your thoughts and emotions interact directly, consciously and boldly with the subtle realms. Time is a relationship. Time is relating to you. How you relate to Time changes your experience. How you relate to Life, changes your experience with Time. As you maintain your peace, you are that strong central core of the spiral connecting consciously and boldly with Life. Life then responds to the catalyst of your awareness and your relationship with Time changes. You have some very natural sayings that point to this phenomenon. “Time flies when you are having fun.” This saying is an indicator of that relationship with Time. The clock, the physical conditions of Time do not change, yet it is your experience of Time moving slow or fast. As you are experiencing things flowing smoothly, Time flows smoothly. As you feel or perceive resistance, Time exhibits that resistance. The rules of the physical realm require your interaction for change. The rules of the subtle realm require your resonance in order for the interaction to create your experience. 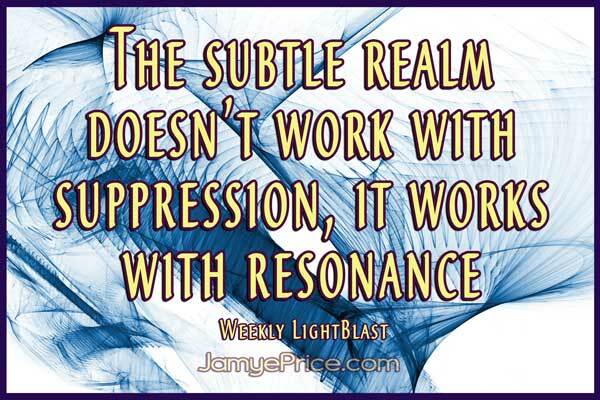 The rules of the subtle realm are resonance and response. To interact differently with the subtle aspect of Time, you shift your resonance. When your resonance is resistance, Time resists. When your resonance is joyful, Time flows quickly and smoothly. When your resonance is focus, Time responds with focus. When your resonance is desperation, Time responds with chaotic flow. It is relating to you. The physical realm of Time represents a certain spectrum of the movement of Time. The subtle nature of Time represents a broader, more malleable spectrum of Time. Your non-physical senses can experience your Timeless nature. Meditation is an example of an interaction that can shape your experience of Time. 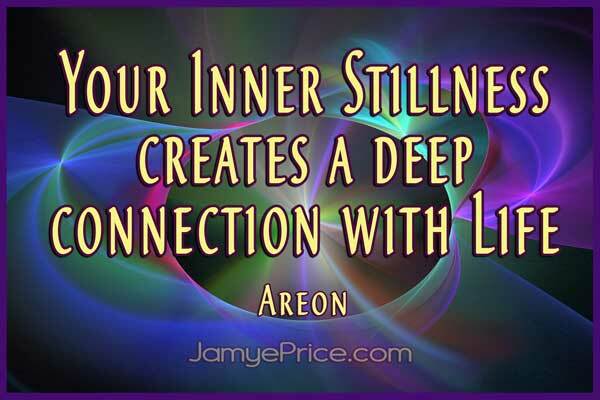 As you go within, while in meditation, you align with your inner stillness. You detach from the physical experience and change your relation to Time. As you meditate, your non-physical senses step outside of Time. You come into alignment within the self and your experience of Time changes. At times you may feel as if no time passed, but you find that indeed the opposite is true. Your conscious focus is detaching from the physical realm and interacting more directly with the subtle realm. Within the self, the core column is strong. This spiraling core column is the stillness. The core column is still in relation to the vast movement that occurs around it, through it and from it. Your experience of this still point, this vector sum zero, is inner peace. It is non-resistance—passive and active, detachment and focus, clarity and unknown, freedom and control. It is the stillpoint of movement. Life responds to your strong core column. This is how Time responds to you. One if the most common ways that you notice this is synchronicity. Synchronicity is an alignment of energy. It stands out to your consciousness because you recognize the “magic” of that alignment. In a moment of synchronicity, you recognize a special alignment. This is an alignment that you and Life have co-created. It demonstrates that you and Life are communicating well. 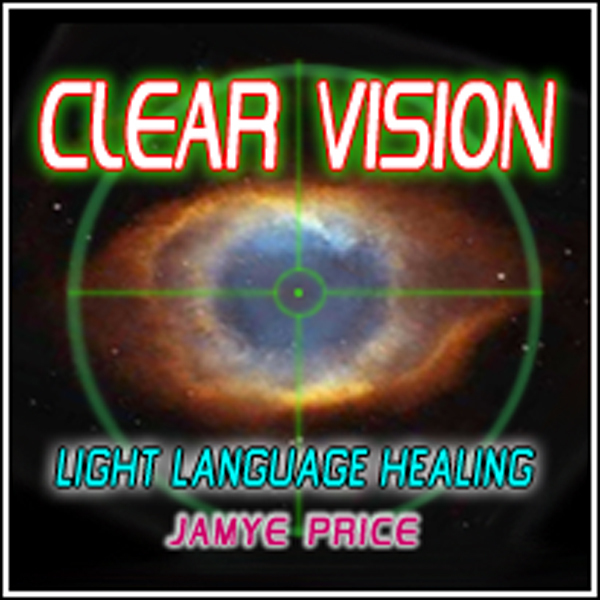 As you continue to consciously communicate with Life, you develop a clearer understanding of the physical realm and non-physical realm. From your human experience, this also represents the detached observer. 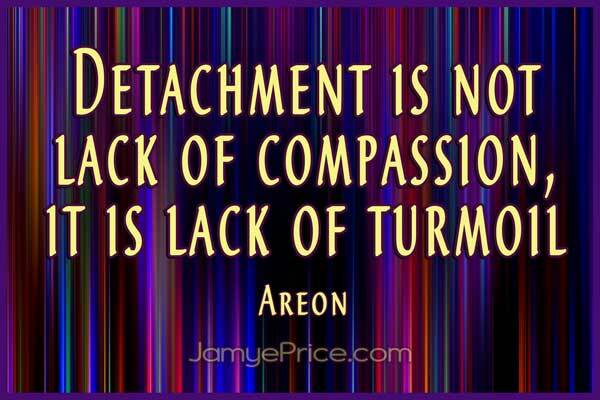 Detachment is not a lack of compassion, it is a lack of turmoil. It is not a lack of emotion, it is a lack of turmoil. It is observing that moment, whether it is an easy or challenging moment, and knowing that all is well. Detachment is knowing that the present moment is building a future that will be changed by the catalyst of the present. The core stillness within you represents the detached observer in a moment that knows that all is well. Your strength within, your core of knowing, aligns you to Life more boldly. You are honoring the self. Within the self that core column is strong. It holds a highly magnetic stillness. When that core column, the stillness of self, is strong—you hold a strong magnetic resonance. As you shift your resonance, the importance of your authenticity helps you discover the clarity of your uniqueness. Your perceptions, desires, experiences and capabilities are unique. 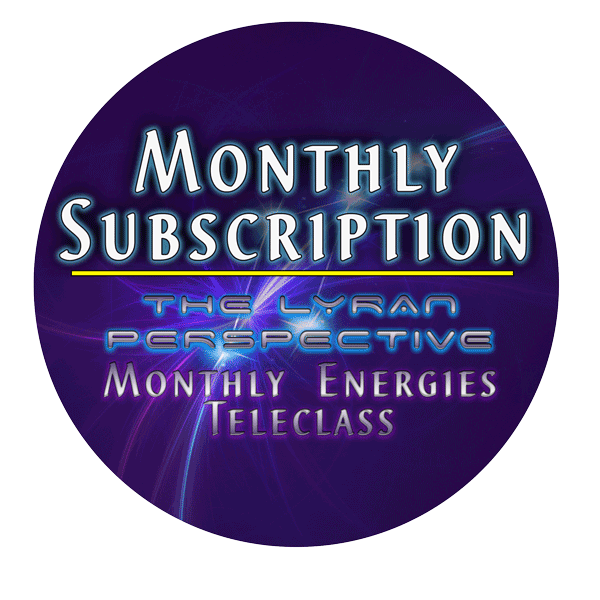 As you honor your uniqueness, you enhance the strength of the electromagnetic resonance that you are. It is your authenticity and honoring of the self that creates your core strength. This aligns your heart and mind. This aligns your actions and interactions in the physical realm with the core of your desires. Your core strength creates a core of inner peace. This releases your resistance to Time. It allows your relationship to Time to change as you peacefully observe life. As you boldly and consciously honor your desires and choices, you communicate with the clarity of your thoughts and emotions. The clarity of honoring the self speaks boldly and strongly to the subtle realm. 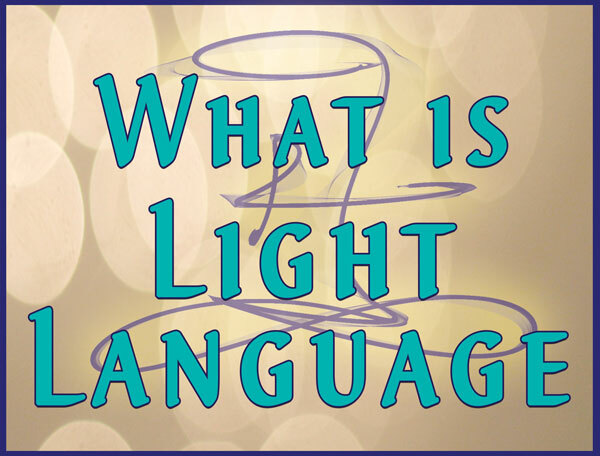 The universe, which is Life in a different form, understands your subtle language. The universe speaks the totality of your vibrational information. You are vibrating into the cosmos continuously. Whether you are asleep or awake, scared or joyful, excited or upset, it is all information. It is all a moment in Time. It is all a moment that catalyzes a future. It is spiraling through you and from you continuously. When you are in a moment of resistance, it is not as easy to get into that quiet meditative state of inner peace. It is in those moments of inner chaos that relating to Time becomes elusive. This is why the core work of Ascension is inner work. The inner work of Ascension is to honor the rules of the physical realm and merge with the rules of the subtle realm. This changes your resonance within and allows your interaction with Time to shift. 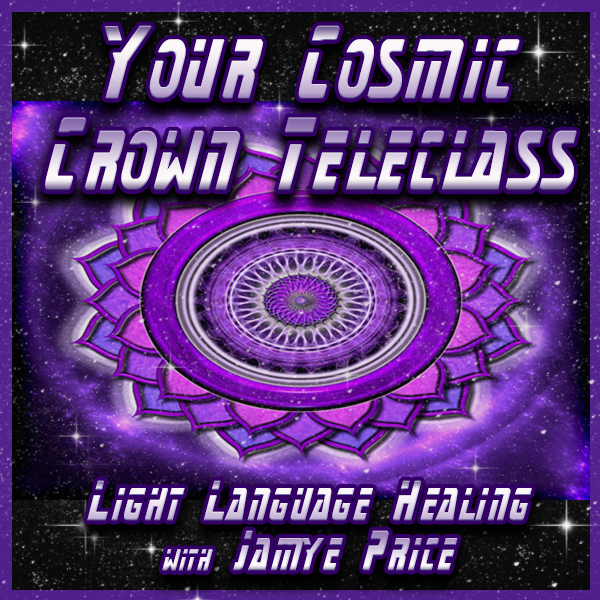 It is a constant process to realign your physical experience to connect more with the subtle realms. In the subtle realm you must become resonant with that which you want to experience so that you are a strong magnet aligning to Life. When you begin seeing synchronicity, that alignment is occurring. As you experience the peace that passes all understanding, that core column of you has a strength and clarity that the spiral of Life moves harmoniously to, through and from—and physical Life is transformed. This is utilizing the power of the subtle realm, your subtle bridge, to transform the physical realm. Honor your brilliance that is innate within you. Honor that your physical expression is unique. In all of Time and space there is no other unique expression of you. You are brilliant. You have a strong resonance that Life responds to. Time spirals into you and aligns with you. You could call that speeding Time. You could call it jumping Timelines. It is merely your core clarity creating a strong resonance that Life responds to. As you maintain your core column of inner peace, you are aligning Life in profound ways. Action creates, peace transforms your entire experience. Honor your inner power. Eeshah, Ehmah, Ehtah. We receive you, love you, and life is changed by interaction with your awareness. You are a powerful form of Love. Thank you so much Jamye. I heard you talking about this on a Wisdom From North Interview this morning ( that is what drew me here) and I loved what you said about time, it really resonated with me. Now reading it all again here helps clarify it even more. I have really learned a lot from you the past few days watching you on old WFNorth videos on Youtube, you have lovely gentle way of getting the message across, and 2 or 3 things in particular areissues that have been occurring in my experience recently, so it was brilliant to get some confirmation and wisdom from you. Thank you again Jayme …………. PS There is so much to read and learn on your website, so generous of you ( and the Lyrans )to share all this amazing knowledge. Hi Kenneth, I’m so glad this is resonating with you. Thank you so much for sharing your experience with me. Blessings! That is great news, Amy! Thank you so much for sharing! Jamye, as always, thank you. When I ask questions, the Dream Beings do not answer–they look surprised and/or amused. Sometimes I will stop and touch a Dream Being, and another Being will come in, a Watcher Being, and tell me that “He doesn’t like to be touched,” and then suggest I continue down the spiral staircase. My question is, in the subtle realm of my dreams, am I creating these archetypes, or are they true celestial helpers working with me to claim my authority? Or something else entirely. Progress is so difficult for me to gage, since there always seems to be more hurdles to clear and truths to be faced. Your writing that synchronicity and subtle realm intersections denote progress gives me encouragement. I appreciate your Time and attention. Blessings to you and all whom you love. Hi Karen, the dream realm can vary dramatically in an experience. I recommend setting some intent while you are awake that your dreams are clear enough to understand. Dream work is often to be interpreted rather than so direct, so unless you are skilled at interpreting and understanding, seek some clarity while awake. Noticing progress is often best by looking back over a time frame when you have some perspective, but do make sure to celebrate your progress!